Austin Moonwalks Palm Tree Slip n Slide is a blast for kids of all ages. 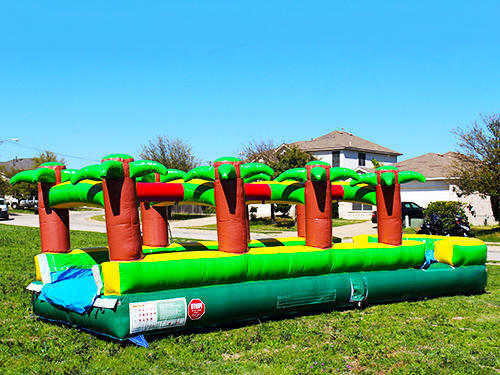 This particular slip and slide rental is also an attachment to our 22ft Palm Tree waterslide. To order the Austin moonwalks waterslide with the Austin moonwalks slip n' slide please go back to the order page.